C200: When Does A Suburb Become A City? When does a suburb become a city? Because that’s what the next half century is all about. We spent the last half of the 20th-century creating suburbs – the stuff we city types dismiss as sprawl. But, sorry, it’s not dismissable. People love it. Always have, and still do. Whenever a society gets rich enough, people buy space. Hence the suburban instinct that flowered for the middle classes in the age of the streetcar – the technology that expanded cities exponentially in the 1890s. Vancouver, founded in 1886, one of the first places to adopt electric-streetcar technology, and so shaped itself around the villages that formed wherever the streetcar lines went. And though we may look so mid-20th-century modern with all our concrete high-rises, we are still function more like a late-19th century city. And also because we didn’t build freeways into our core. Unfortunately our surburbs did build freeways, wide roads and parking lots – lots of ’em and not a lot of transit – making themselves almost totally dependent on the auto and truck for almost everything. Today, those suburbs are vulnerable. Having driven out all other transportation choices except driving, they are now hostage to the price and availability of oil. So what to do? 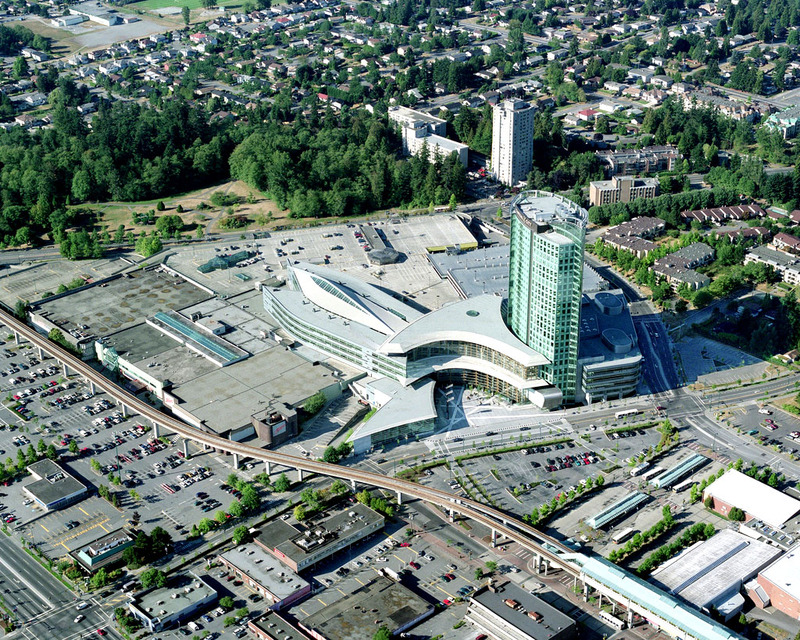 What distinguishes the central area of Vancouver, given the imits of water and mountains, was to build on the streetcar fabric and make high-density development sufficiently attractive that all classes of people could imagine living in it. 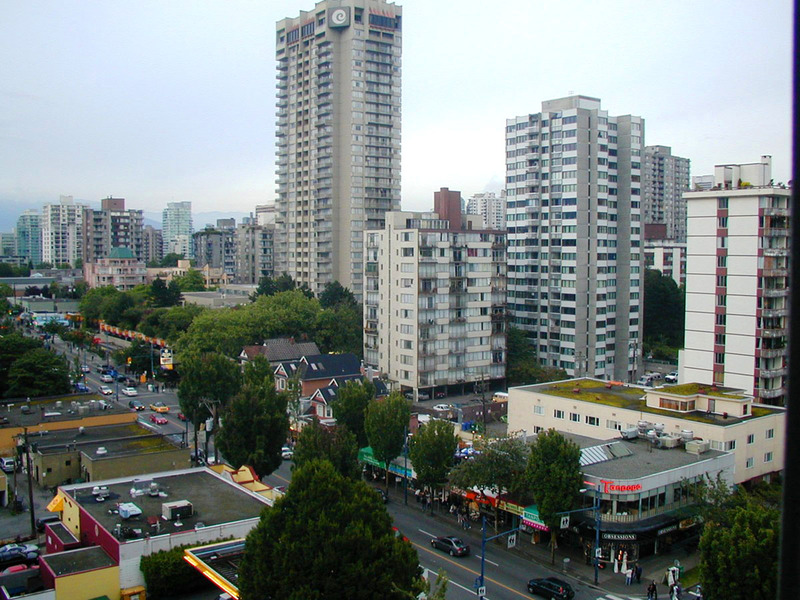 Vancouver provided enough practical transportation choices – walking, cycling, transit, taxis – sufficient to accommodate more people without accommodating more cars. The suburban ideal may remain dominant in the older subdvisions, but they too like the idea of choice – in accommodation, workplaces and transportation. And they’ll need to, if the suburb is to have a future. But then they’ll call it a city. Great photo of Denman Street, I’d been looking for one like that recently.